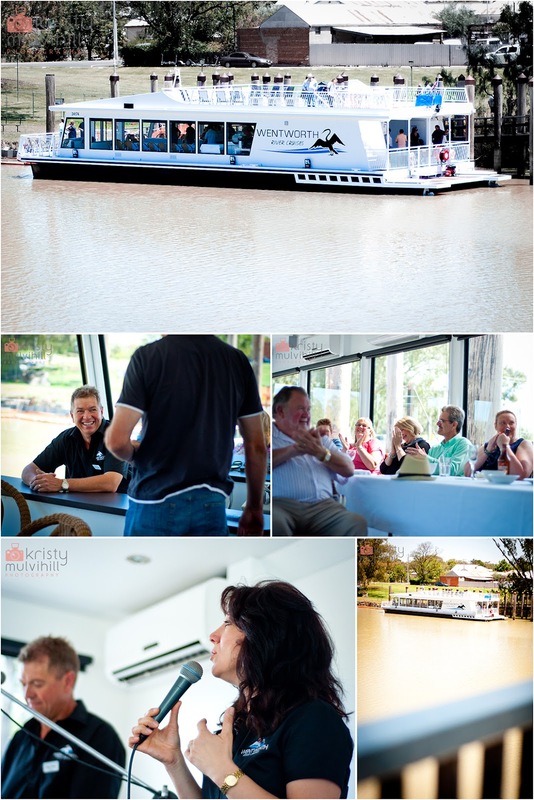 Wentworth River Cruises held their official launch last Sunday and I was asked to attend with my camera. The hosts, Greg and Julia Evans, do a fantastic job operating the boat as well as catering for lunches or dinners, and of course their great entertainment. The boat is available for weddings, parties, corporate functions and group bookings as well as the regular cruises they run. This is a wonderful asset for Wentworth and the surrounding areas and I can't wait to go for a relaxing cruise on the boat myself. Greg and Julia can be contacted on 0429 133 237 or by email info@wentworthcruises.com.au if you want any information. After a short cruise on launch day, Greg and Julia finished off doing what they do best - with a couple of songs. What a beautiful voice you have Julia!